Yay end of month!! 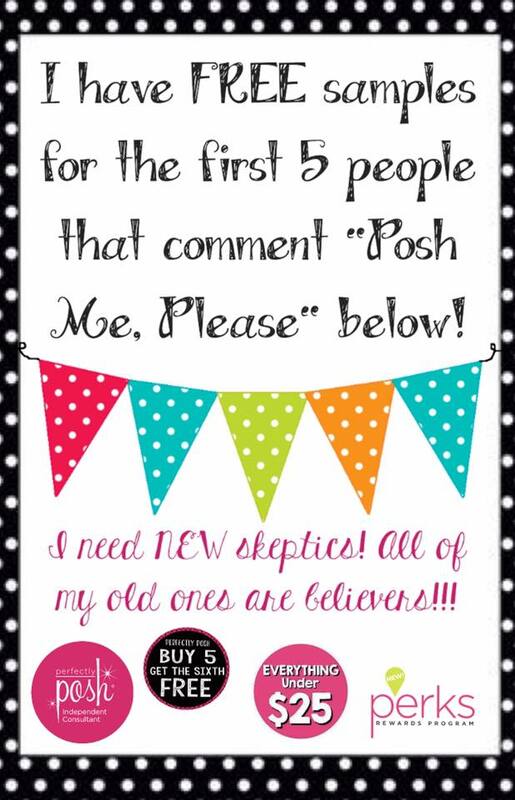 My Perfectly Posh team is maintaining our status as a Silver Premier team! And several people are promoting through the leadership ranks on their own. So proud of our team, and we're having so much fun during these last hours of June. 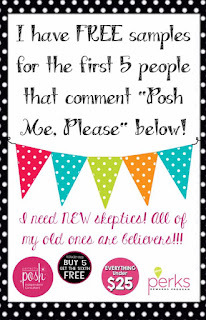 So, in reference to the cute lil graphic on the right... Do you even know what I'm talking about when I mention my 'Posh biz?' Leave me an email address to contact you (since I'll need to get an address to mail samples to), if you wan to try it! U.S. only please. It's another warm day out today. I think some taco salad for dinner might really hit the spot. I'm still trying to get through The Scarlet Letter. Unfortunately, I think I again missed my window to borrow and read The Library of Souls. And in all honesty, I"m not even really enjoying The Scarlet Letter (which is probably why it's taking SO LONG). Luckily the CEO at hub's company already announced they're getting out early tomorrow, because I'm obviously ready to start the weekend. True confessions: I went grocery shopping this afternoon, then came straight back to my computer to check sales numbers. And then started on this post. Which means all of the groceries are still bagged up on my kitchen floor. Ugh. It does feel like Friday! Maybe because it's a holiday weekend? I have 4 more episodes (10-13) to go for OITNB so thank you for not posting spoilers, and being deliberately vague :).